Diseases affecting fewer than 200,000 Americans are defined as rare – but the more than 7,000 rare diseases in the U.S. affect 25 million Americans. Rare disease research can be particularly challenging. Often, these diseases are a result of a variety of genetic mutations to single genes, and the low number of patients makes it hard to coordinate clinical studies. However, research is a key to better health – with the potential to reveal new perspectives on human genetics and the fundamental biochemical pathways associated with more common ailments. The University of Notre Dame’s Warren Family Research Center for Drug Discovery and Development is focusing on collaboration, as it continues a rich history in therapeutic discovery. 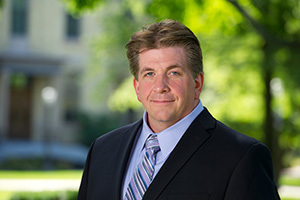 “We’re expanding the capabilities of researchers through the development and support of partnerships with foundations and pharmaceutical companies, and collaborating with researchers who have complementary expertise,” said Richard Taylor, professor of chemistry and biochemistry and acting director of the Warren Family Research Center. Due to the center’s previous experience leading rare disease collaborations, the Grace Science Foundation established a collaboration between Warren researchers and Retrophin Inc. focused on identifying a treatment for NGLY1 deficiency, a rare genetic disorder. Symptoms of the condition include global developmental delay, movement disorder, seizures and ocular abnormalities. This multi-institution collaboration, which was established a couple of years ago, is working to validate and address a new molecular target that may be relevant to NGLY1 deficiency. More recently, the Warren Center has begun a new program targeting a rare type of genetic glycogen storage disease. Glycogen storage disease type III (GSD-III or Cori disease) occurs due to mutations in the AGL gene and a resulting deficiency in glycogen debranching enzyme. Glycogen, a polymer of glucose, acts as a reserve of glucose units and a source of energy. Accumulated glycogen impairs the function of certain organs and tissues, which leads to liver dysfunction, skeletal muscle myopathy, cardiomyopathy and growth retardation. Treatment is currently limited to symptomatic and nutrition-based therapies. The Warren Center is collaborating with researchers from the Indiana University School of Medicine in Indianapolis who have been studying the role of glycogen synthase in the progression of rare diseases, Pompe disease (GSD-II) and Lafora disease. The team’s focus is on genetic modifications to alleviate symptoms. “The team we have recently created for our efforts on GSD-III bring complementary expertise and expand the center’s capability to work in these new important areas,” said Taylor. Rare Disease Day takes place annually on the last day of February. Its goal is to raise awareness amongst the general public and policymakers. Originally published by Notre Dame News at news.nd.edu on February 28, 2017.